Whit Merrifield extended his hitting streak to 30 games with a leadoff triple on Tuesday night, tying George Brett's Royals record. KANSAS CITY, Mo. 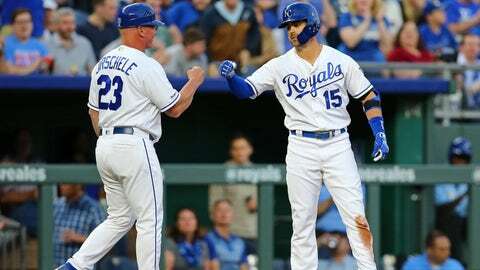 — Whit Merrifield has extended his hitting streak to 30 games, matching the Kansas City Royals team record set by George Brett. Whit Merrifield ties George Brett’s record for the longest @Royals hitting streak ever, extending the streak to 30 straight games with a leadoff triple.